The 2017 average daily rate for large federal call when needed air tankers is 54 percent higher than aircraft on exclusive use contracts. Above: Tanker 163, an RJ85, at Rapid City December 2, 2017 while working the Legion Lake Fire. Photo by Bill Gabbert. With the federal government’s drastic cut in the number of large air tankers on Exclusive Use (EU) contracts this year we did some calculations to look at the increased cost of this strategy. If the Forest Service desires more than the 13 that are on EU contracts, down from 20 in 2017, they can activate those on Call When Needed (CWN) contracts — that is, IF they are available. But this comes at a much higher price tag. There are two costs for air tankers — daily plus hourly. 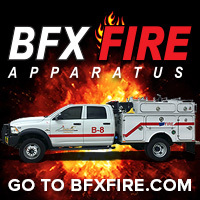 If the aircraft just sits at an air tanker base available with a flight crew it only earns the daily availability rate. When it flies, an hourly rate is added. 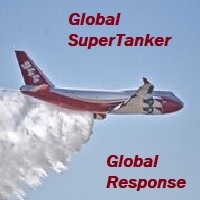 Both of these rates are higher for most air tankers. 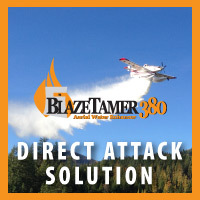 These costs only account for the additional costs of contracting for the air tankers, and do not include any increased costs of new, small wildfires escaping initial attack due to a lack of available air tankers or Type 1 helicopters. It also does not include property damage or, heaven forbid, lives lost. In 2017 the Type 1 helicopters on EU contracts were cut from 34 to 28, and that continues in 2018. 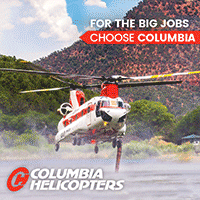 State and local wildfire organizations that in the past have counted on the federal government’s air tankers to assist them when they desperately need air support, had better look for alternatives. 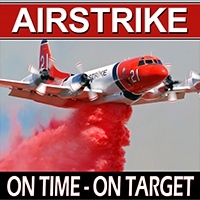 However, this slow motion atrophy of the air tanker fleet has been going on for the last 15 years. You may want to express your opinion to your Senators or Representatives. Those are interesting figures. Did you consider all of the “daily rate” days that the FS pays those EU venders while they are not actively working a fire in order to maintain their exclusive commitment to the FS? Naturally, this makes no economic sense. 20 EU should be a really low minimum any year. 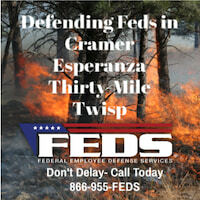 What managers hope for is an easy fire season so they can say “I told ya so”, but wait! (as the Shamwa guy sez). Yeah, we are all fans of quick, effective air attack. Budget cuts everywhere will prove to be ultimate folly if we have even half the fire season as last year. You can’t tell the Congress that it will only get worse due to climate change. So, when towns are burned over, the cry will be for emergency funds and aircraft generation. I do hope that the on call aircraft are ready and on alert, which, I suppose, will be the case. They all deserve more money as CWN. Sorry, but I had to say this. All this short game stuff gets my goat. I agree. And, I don’t begrudge the higher fees for CWN aircraft. It takes big bucks to have a Type 1 air tanker and crews sit around doing nothing waiting for the phone to ring. 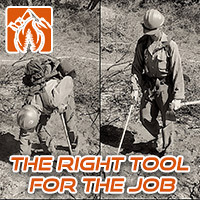 The higher rates are necessary to cover the time when they are not working during fire season. The companies could scrap or sell the aircraft and lay off the crews, and some outfits may be forced into that. THEN where would we be, with 13 tankers and an even shorter list of CWN resources. Meanwhile, who knows when or if the next round of EU and CWN contracts will be advertised and awarded. Quite a few “new” air tankers are going to be completed in the next 6 to 12 months and will be looking for work. 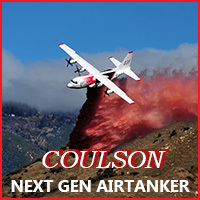 Unfortunately, the current climate is not very favorable for the air tanker business. The administration and Congress need to understand that an air tanker program CAN’T have wild, crazy swings from year to year, cutting the fleet by one-third. Most of the air tankers that are needed have to be EU, and should have contracts with 5 guaranteed years with 5 optional years. 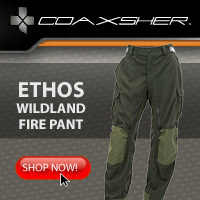 You can’t fight fires on the cheap. Yes, defending our homeland is an expensive program. Get over it. 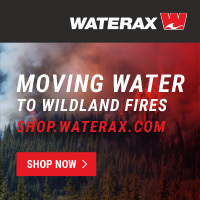 Just one last point to agree with ya: it’s a shame that leaders and voters don’t see things like fighting wildland fires, or weather warnings, or other preparedness and mitigation for natural hazards as “national defense”. DoD seems to always get a blank check from D’s and R’s, and if we are in a war, that’s OK to a point. If that’s the philosophy, protection against the natural hazards should be just as urgent and important. Sigh…I could go on and on. Thanks for letting me vent here. Why don’t they use air support when the fire first starts. Seem to me that air support should come at the same time the first fire fighters hit the ground. The comparison made in the article is from the “fires” perspective. When a “fire” is looking at costs, obviously the CWN will cost the “fire” more. That EU resource’s daily rate is coming out of their host forest’s budget not the “fire”. So it’s sort of like apples and oranges. If you want a resource to be committed you have to pay for it. On the other side, a CWN is under no obligation. If they find gainful employment elsewhere, they may not be available. Can’t blame them. I don’t think Forests pay for daily availability anymore? Most if not all EU Tanker are paid for by the national office. The forest or district no longer pays for them unless they wish to bring on additional aircraft for just their area of operations. Bill does your average of numbers also reflect the lower flight cost as hours are flown and lower daily availability for the longer number of days they are on contract?